Monocled Cobra - Naja kaouthia - Deadly even at just 12 inches long. 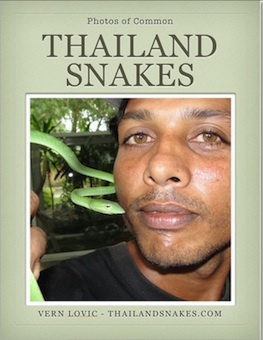 One friend I have said, out of all the snakes in Thailand (about 200) – he likes the monocled cobras the best. They are always angry and ready to bite! They never chill out. They never relax. They are always ready to serve up a plate of death for you – if you’re dumb enough to get too close. 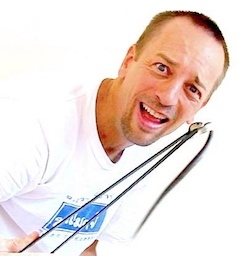 He has yet to be bitten by the monocled cobra, but he works with snakes everyday and he’s right – these snakes were born to kill. It doesn’t matter if it’s a 12 inch juvenile Naja kaouthia – like this one in the photo is – they are ready to kill you if you make one mistake. I’ve kept the smaller monocled cobras for a short time – two weeks at most. I find that I have to watch them very, very closely. Every second I’m working with them – my eyes are on them and aware of what they are doing and what they could do. I don’t take any chances with these snakes. I have seen first-hand the damage their venom does. It is not pretty stuff. He asked me too – what is your favorite snake? 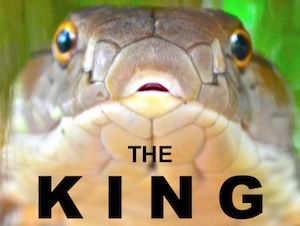 I do like the King Cobra – and that’s what I answered, since I couldn’t think fast enough. Even now – if you ask me – I’m not sure. 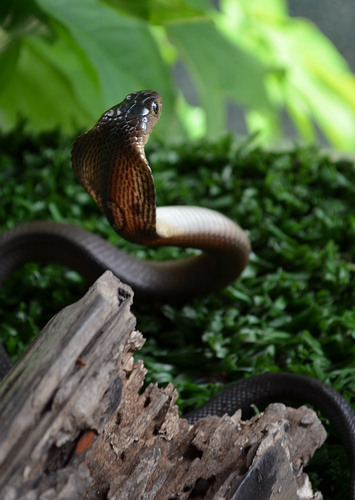 The Malayan kraits are very interesting snakes… as are the monocled cobras, and the king cobras. I definitely like Ridley’s Racer as well – the one that lives in caves and catches bats in mid-air. That’s a cool snake. Some of the big rat snakes are very cool – a lot of energy and wicked fast. All in all – you know, it might just be the king cobra! What is your favorite snake? Have you caught one before? Seen one before?